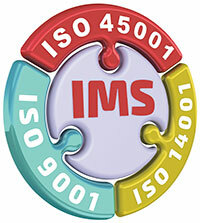 Following a rigorous 2 day assessment, TC Facilities Management (TCFM) has successfully passed three external management systems audits including the new ISO 45001:2018 standard. This and the other new 2015 versions for ISO 9001 and the Environmental audit ISO 14001 were all passed without any non-conformities or observations, emphasising the commitment of TCFM’s senior management to these standards. The audit took place over two consecutive days and included a comprehensive review of company policies and processes. This was to assess TCFM’s approach to the quality (ISO 9001) and safety (ISO 45001:2018) it provides to its customers and colleagues, as well as the measures it takes to minimise TCFM’s environmental impact (ISO 14001) from its operations. The new ISO 45001:2018 is believed could help, on a global level, save more lives, reduce accidents further and improve employee morale. Organisations have until March 2021 to make the transition to the new standard that was established in 2018, replacing the BS OHAS 18001:2007. TCFM’s achievement in making the transition to the new standards is testament to the work of TCFM’s compliance manager, Richard Grafham, who championed the transition. It also emphasises the senior management’s commitment to these standards. TC Facilities Management (TCFM) has reached the finalist stages of the Corporate Social Responsibility category, CSSA awards 2019. This is for its work with the British Heart Foundation, the charity that conducts ground-breaking research into heart and circulatory diseases and their causes. The winners will be announced next month at an invitation only lunch event, taking place during the Cleaning Show on Wednesday 20th March 2019 in London. The CSSA awards recognise and reward excellence and effectiveness across many sectors of the UK Contract Cleaning Industry. The awards have been developed to acknowledge everything that shines within the UK cleaning sector – including great products, great systems, great contractors, and great individuals. The strength of the awards is that they are run for the industry, by the industry and voted for by industry experts. 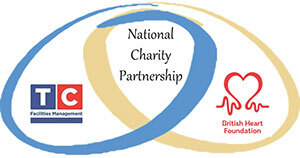 TCFM’s approach to working with the British Heart Foundation has not only helped them raise funds for its life-saving research through providing specialist cleaning services in its Furniture and Electrical stores across the country, it has seen the many thousands of colleagues at TCFM only a hair-breath away from achieving their annual fundraising challenge of £5K. This has taken them just over 4 months, since the National Charity agreement started in September. ← Instant Signs and Labels, from 10cm up to 20cm wide – in multiple colours – in one pass! The New Kodiak from Rebo Systems.